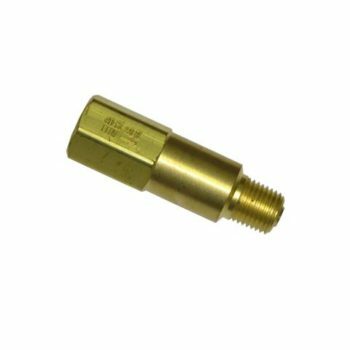 Check Valve, Brass - August Industries Inc.
Brass, Female to Male flow. Brass Check Valve with a 1/4 NPT Female inlet by 1/4 NPT Male outlet. Thus, normal flow is Female to Male, and reverse flow is not allowed. This check valve is O2 cleaned and is suitable for up to 3,000 PSI service.